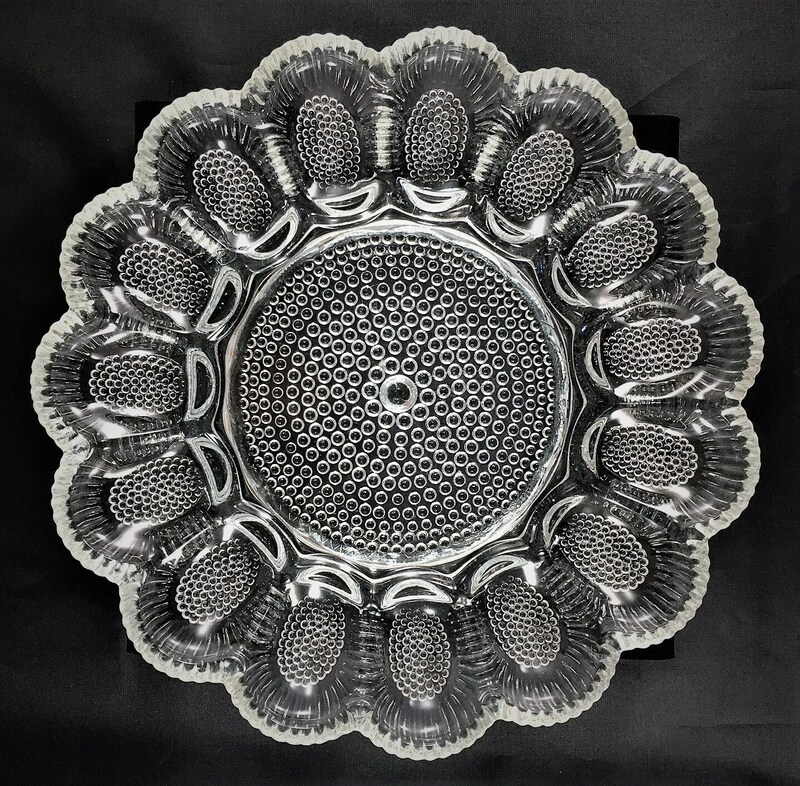 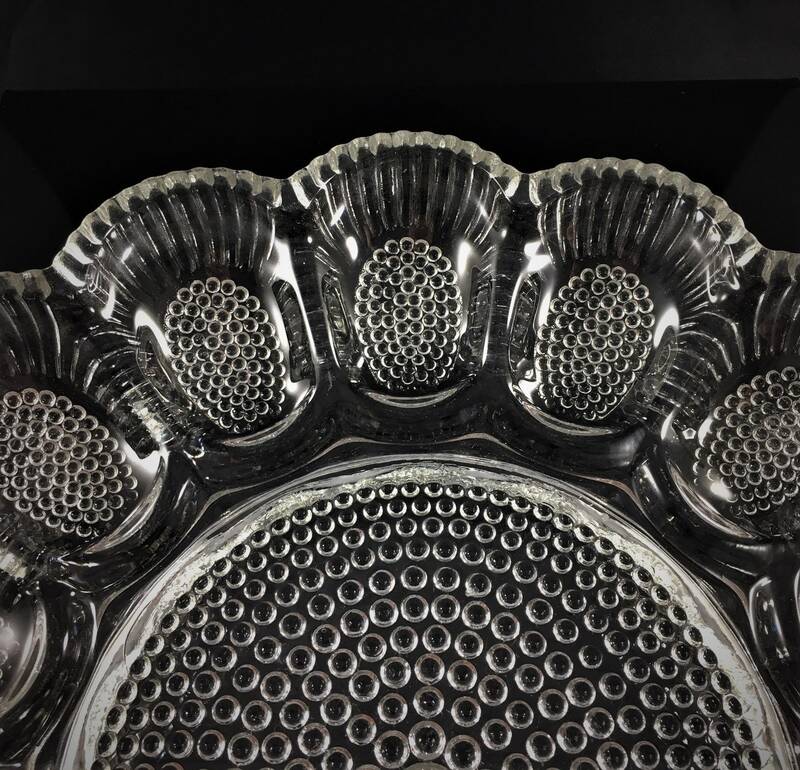 Featured is a vintage mid century Indiana Glass pressed glass classic hobnail design deviled egg plate, measuring 11.25 inches in diameter. 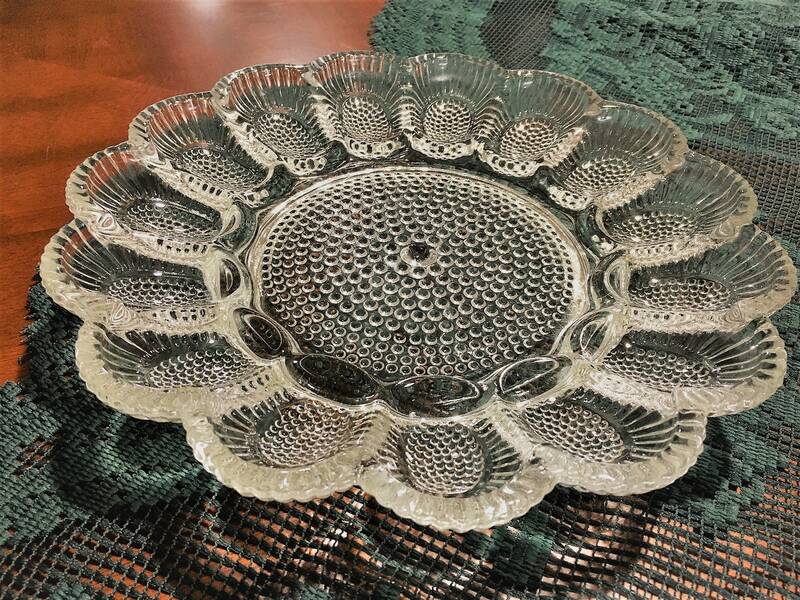 This sturdy egg plate has space for 15 deviled egg halves around the outside and space for more in the middle. 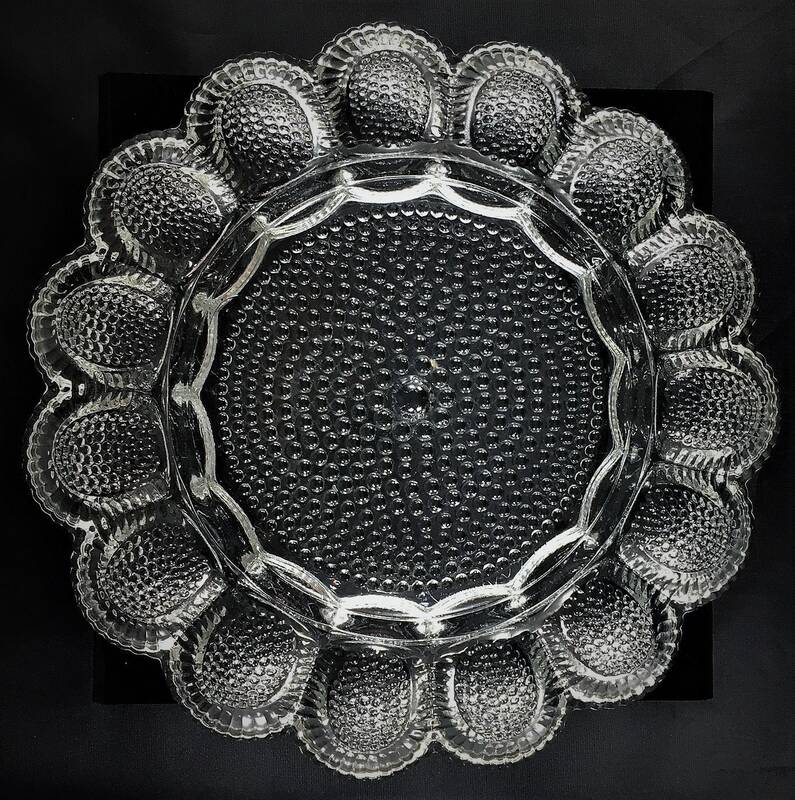 The pattern is mostly known as "thousand eyes" with glass beads on the underside in concentric circles.